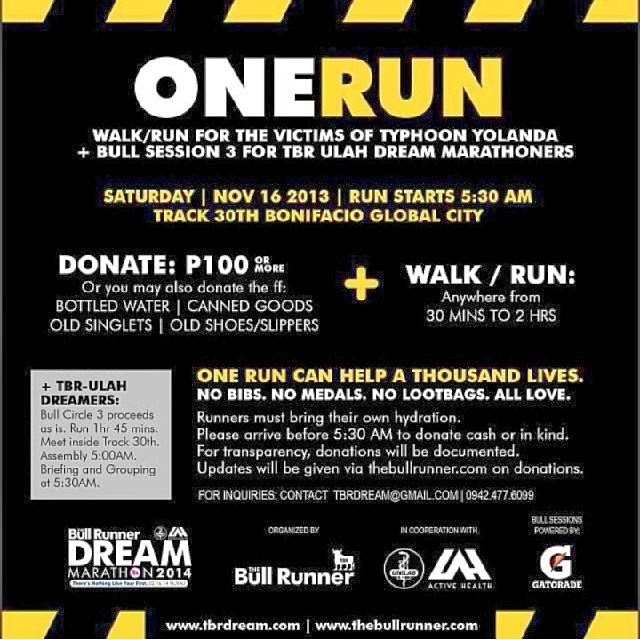 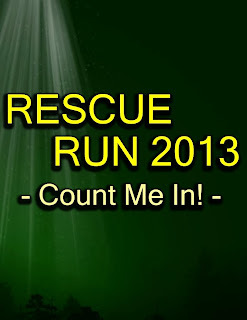 Three different runs this coming weekend (November 16, 2013) for the super typhoon Yolanda victims. 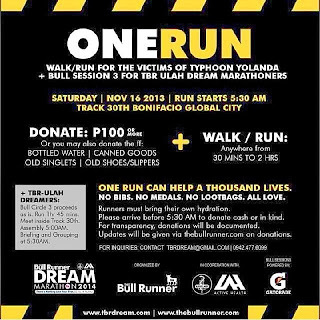 Registration Fees:P150.00. 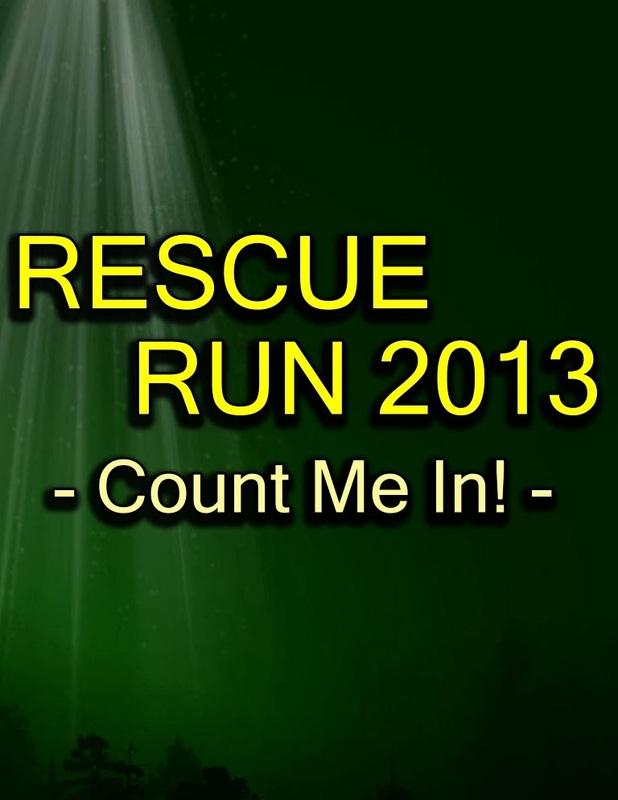 Participant gets Rescue Run Racebib. 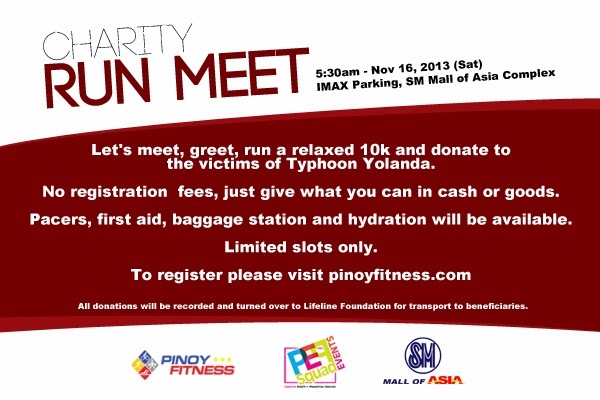 All runners are qualified in raffle prizes. 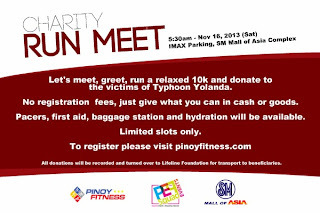 Special Raffle Prize for all participants donating P500 and above.